After thinking about it for a very long time I have finally decided to start a blog, and my first post will be a bath bomb review from Lush. I have to admit I am quite obsessed with Lush. I love the variety of amazing smells that greet you when you enter the shop, how friendly the staff are and of course the fact it's guilt free shopping as everything is responsibly sourced. The only downside to Lush is some items are quite pricey. 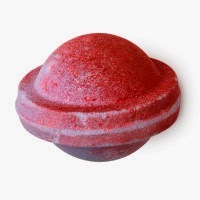 So I was delighted when I came across the space girl bath bomb, which smells gorgeous and was only £2.35. The space girl bath bomb has an amazing smell and a nice but not over the top sprinkling of glitter. The slightly fruity perfumed smell personally reminds me of parma violets which are one of my all time favourite sweets! and the answer unfortunately not very much. It turns the water a nice purple colour and there is a slight glitter to it, but that is all. The thing that really makes me love this bath bomb is the smell. I absolutely adore the smell! Who doesn't want to bath in the scent of their favourite childhood sweet. The only downside is I don't feel the bath bomb does anything for the skin and the smell doesn't linger for long, but for £2.35 I dont expect miracles. Do I think this would make a good present? This greatly depends on the person though, this bath bomb has a very strong sweet like smell which I don't think would appeal to everyone. 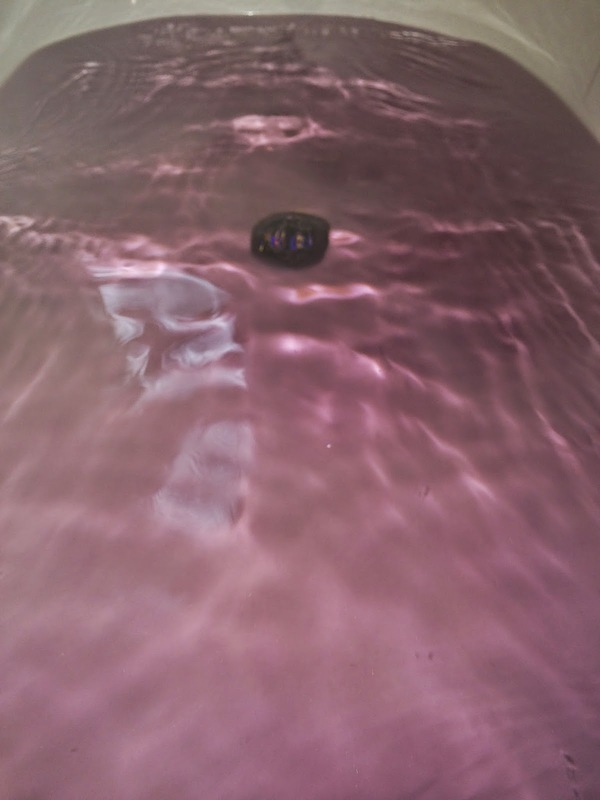 Visually though the bath bomb is pleasing and has a nice shape with a sprinkle of glitter.